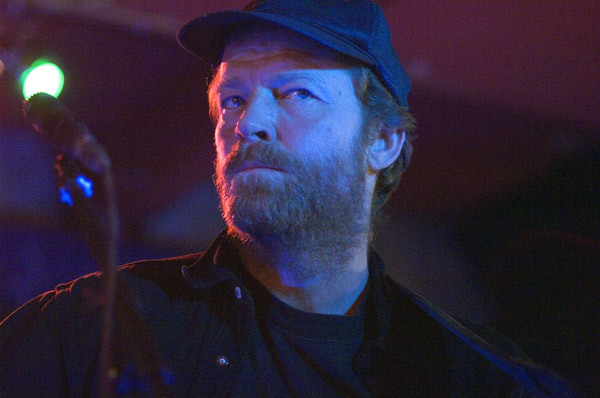 Paul Dale meets one of Scotland’s finest living film and theatre actors and now guitar hero – Iain Glen. It’s the eyes. I’m sitting in an Edinburgh member’s club, and I’m looking at the 46-year-old Edinburgh born actor Iain Glen. I’m trying to work out what has compelled me to follow his career since his remarkable turn as poet, artist and Barlinnie inmate Larry Winters in David Hayman’s excellent 1990 biopic Silent Scream. It’s those eyes – watery aqua blue, full of pain and seriousness set above impressive aristocratic cheekbones. It’s not hard to see how he came to be cast as Richard The Lionheart in The Kingdom of Heaven, and it’s no surprise that he has just wrapped on Churchill at War, an HBO special in which he plays King George VI to Brendan Gleeson’s wheezing Churchill. He’s come to sip a latte and talk about Small Engine Repair, a micro budget Irish film about an aging country singer’s thwarted attempts to make it in the music business. It’s a slow, low-key, idiosyncratic affair that brings to mind Bruce Beresford’s Tender Mercies and Bob Rafelson’s Five Easy Pieces. ‘It’s quite elegiac in feel, I really admire [writer and director] Niall Heery for trusting himself internally and letting things unfold gently and slowly.’ Glen talks with the clarity and enunciation of someone who has spent a lot of time with dialect coaches, his Edinburgh accent having long faded away. Glen, who spends as much time working in theatre as film has three films coming out in the next few months. Besides Small Engine Repair there’s Mrs Ratcliffe’s Revolution in which he stars with Catherine Tate as an ardent British communist who convinces his wife to go and live in the GDR with catastrophic results and Resident Evil: Extinction where he returns to his well trodden role as Dr Issacs. Ultimately he knows where his heart lies. ‘It’s a cliché but the reason I wanted to get in to acting was because I saw De Niro in a double bill of Raging Bull and The King of Comedy, and that sense of complete transformation appealed to me. But to access that kind of variety you need the very best writing, and the finest scripts come with the lowest budgets, that’s just the way it is.’ As he lowers his cup, disappointment fills those remarkable eyes. Small Engine Repair, Cameo, Edinburgh and selected release from Fri 7 Sep.